Prince’s death was a tragic loss — one that will be made even more tragic if, as reported, he was hospitalized after overdosing on Percocet days before his death, and suffered from what has been called a “substantial” problem with the opioid painkiller. 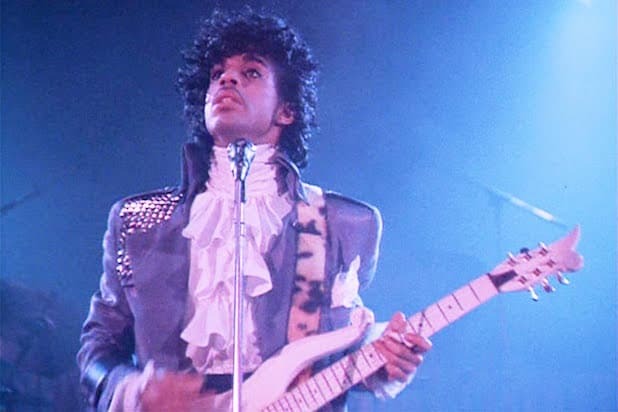 But while Prince’s demise may serve as a high-profile example of the dangers of opioid painkillers, he would be one of many examples, according to Dr. Andrew Kolodny, executive director of Physicians for Responsible Opioid Prescribing. In an interview with TheWrap, Kolodny pointed to a decades-long “era of aggressive prescribing” that has resulted in thousands of deaths and untold numbers of people addicted to opioid painkillers. According to Kolodny, more than 250,000 Americans died of opioid overdoses between 1999 and 2014. His group’s website states that approximately 44 people die from narcotic painkillers every day — far outpacing the 16 heroin deaths per day. “It’s probably easier for you to tell the difference between Coke and Pepsi than it is for a heroin user to tell the difference between oxycodone (the main ingredient of Percocet, along with acetaminophen) and heroin,” Kolodny said. According to Kolodny, prior to 1996, opioid overdoses in the United States were “pretty rare.” That changed, however, due to a “brilliant marketing campaign” by pharmaceutical company Purdue Pharma as it introduced its product OxyContin to the market in 1996. “We are routinely prescribing them for common problems,” Kolodny said. The federal and state governments have also taken steps to tackle the epidemic, Kolodny said, though the doctor had harsh words for the Food and Drug Administration. “They could have stopped Purdue Pharma from its aggressive marketing of OxyContin. And not only didn’t they do that, but they actually made it easier for other drug companies to put their opioids on the market, and they’ve been allowing the marketing of opioids for conditions where they’re not safe or effective,” Kolodny said. Crucial to counteracting the epidemic of opioid addiction, Kolodny said, is making doctors and other medical professionals better aware of the dangers. “We have a very badly misinformed medical community that we’re now trying to re-educate,” Kolodny said. Law enforcement officials confirm that Prince was the person found dead at Paisley Park. Tributes pour in from around the world for the multi-talented musician. The Midwest Medical Examiner's office announces that an autopsy will be performed on Friday morning. Prince was reportedly treated for a drug overdose less than a week before his death. New reports suggest Prince overdosed on the painkiller on Percocet, which he was prescribed following a 2010 hip surgery. An autopsy is currently under way in Minnesota.